On the eleventh day of the eleventh month in 2018 we shall stop to remember once more all those who have fallen in conflict. I like to remember more than just the last century: for all those who have died to conflict; I think of the warfare of the Thirty Years War and remember the great destruction caused by conflict and war. But what makes this year even more special is that it is also marks a hundred years since the end of the First World War. The conflict was one of the worst this world has seen, and remembering it is important. The First World War teaches us many lessons, it warns us of the danger of nationalism. It shows the dangers of the glorification of warfare and battles. It demonstrates the futility of war. These lessons are ones we should never forget, for the sake of all. Remembering is not only for those killed on ‘our side’ so to speak, but it’s for all, remembering that these were real people – on both sides – who gave their lives for their respective nations. These were individuals who lived lives just like ourselves, had dreams and ambitions, who loved and were loved. Each one had a story, and each one should be remembered in kind. Remembering should never be a political event, but one where we all stop, reflect and be thankful for those who died, who came back, and for the lives we live now. Interestingly, in the years after the First World War, Armistice Day was actually a joyous occasion, people celebrated their lives. Today we mark it with silence and sobriety, and quite rightly as we pause to reflect. At the same time however, remembrance should also be a joyous act – that we have lives to celebrate, lives given to us by a great God, and freedom because of what happened in those dreadful years. 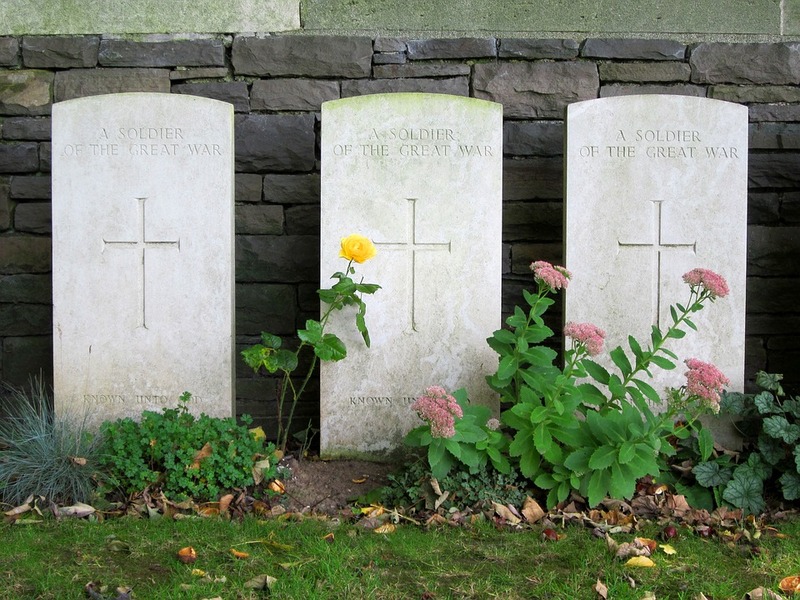 I think Remembrance Day and all that comes with it is an important act for the church. The Bible often talks about remembering the past, and this day gives us an opportunity to do so. But we should never get involved in the politics of it. May we just remember and give thanks for those who gave so much for us. May we not stop learning from the past, and at the same time, may we not live in the past. It is very easy to start comparing generations and time periods, but that takes away from the point of remembering. Be thankful, be joyful, and be respectful – it is important. The church should also remember sacrifice. After all our Lord Jesus Christ sacrificed it all when he died on the cross for us; these men and women sacrificed their lives for peace and for us. The First World War was meant to end all wars, but it never did. More warfare would follow, and millions of lives would be lost. Warfare does not solve anything, may we pray for peace and love to overflow in our hearts in the present age. Next Next post: How to deal with periods.